These are basic metal rack drawers, suitable for mounting in conventional 19" racks. The slide-out drawer is constructed with 0.047 (18 gauge) sheet metal. The outer shell is constructed with 0.075 (14 gauge) sheet metal. The drawer slides are steel construction with ball bearing rollers, so they glide nice and smooth. These drawers are equipped with a spring loaded "finger latch" on the front of the drawer for opening and closing the drawer. In addition to the "finger latch", there is a key lock on the front of the drawer to secure the drawer shut. Two keys for the lock are included with each drawer. The finish is matt black powder coating. The inside of the drawers are unlined (bare black powder coated metal). The back of the drawer shell is equipped with slotted ears which are intended for use if back supporting the drawer in a rack is desired. Rear supporting the 18" drawers is highly recommended. 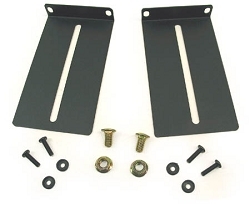 Rear mounting brackets are available as an add-on option for use with the shell ears. 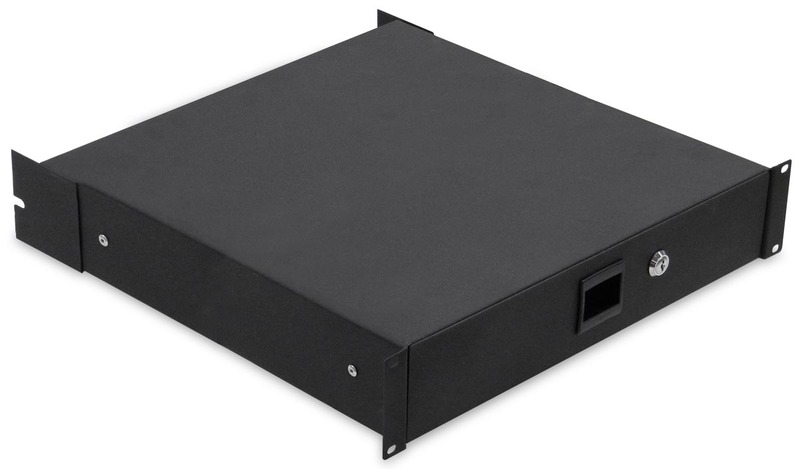 When mounting an SRD-18 drawer in an EWI case with 18" depth, the recommended rear support bracket would be an ERD-14. 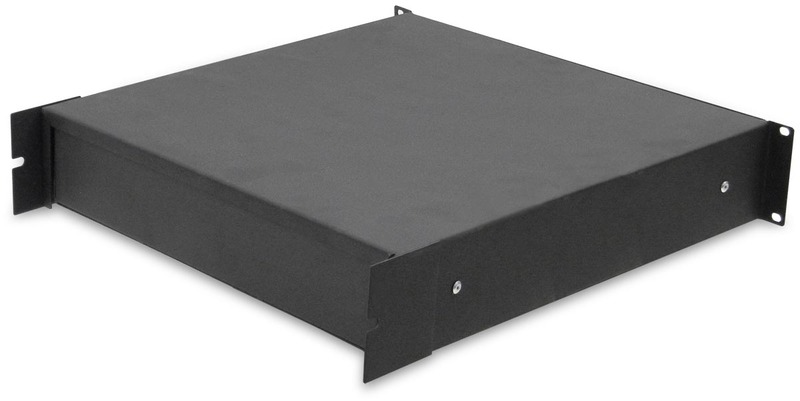 When mounting an SRD-18 drawer in an EWI case with 22" depth, the recommended rear support bracket would be an ERD-18. For dimensions and additional information concerning the mounting brackets (Click Here). Front to Back including "finger latch" inset: 16 1/2"